In recent years certain leading figures in the world of economics have called the usefulness of general equilibrium theory into question. 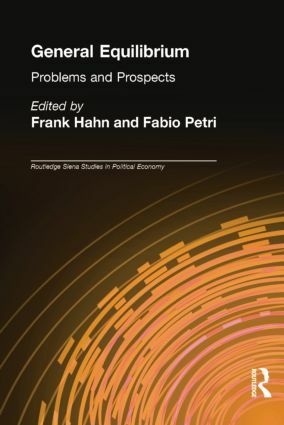 This superb new book brings together leading economic theorists with important contributions to the ongoing debate. General equilibrium theorists including Michio Morishima, Michael Magill and Martine Quinzii debate strengths, weaknesses and possible futures with leading thinkers such as Herb Gintis, Pierangelo Garegnani and Duncan Foley, who seek to explain the rejection of general equilibrium. Uniquely, none of the contributors portray general equilibrium theory as the perfect guide to market economies actual behaviour, but rather illustrate that there is insufficient acquaintance with existing alternatives and that general equilibrium theory is often used as an ideal 'benchmark'.